My next major culinary project is to learn how to make real ramen broth. The sous chef at the restaurant I stage at kindly loaned metwo Japanese magazines on the intricacies of making ramen. But with my rapidly deteriorating Japanese reading skills I fear I may never uncover the secrets to rich, complex and creamy tonkotsu broth. However, I remain determined to learn and in the meantime I’ll continue to use store bought ramen packets to satisfy my cravings. I’m not talking about the dorm room favorite— Cup Noodles, rather than buying the packets with dried instant noodles look in the refrigerated section of your local Asian store for the ones containing fresh noodles. They are definitely a major step up. Prepare the noodles and broth as stated on the back of the package. Then gently reheat three or four slices of pork belly. Quickly sauté cabbage and bean sprouts in a hot skillet with a little chicken stock (liquid or powder form, no one’s judging), salt, and white pepper—finish with a splash of black vinegar and sesame oil. 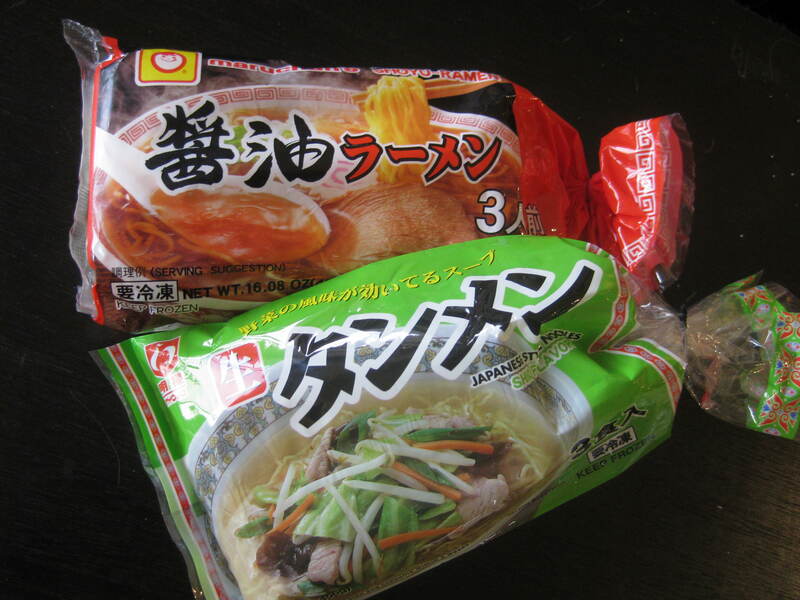 Other great ramen toppings include soft-boiled eggs, seaweed (dried or fresh), bamboo shoots and shiitakes. 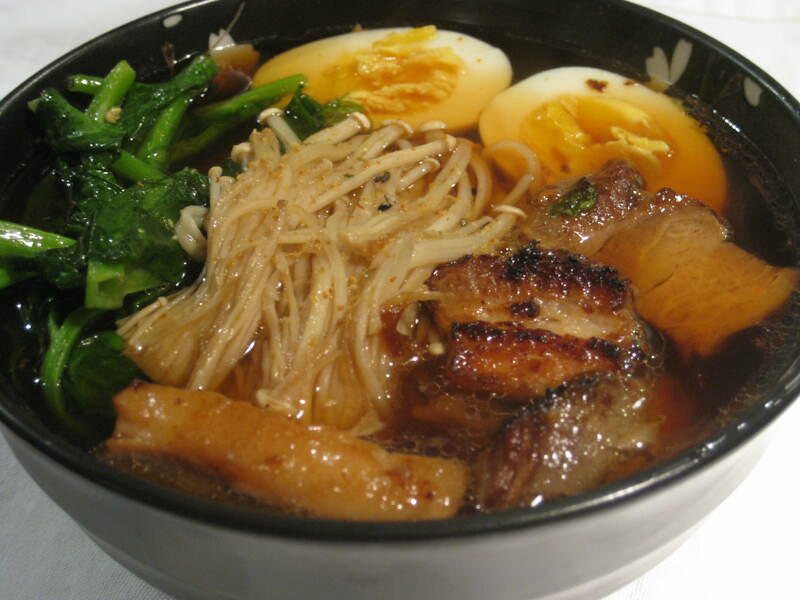 Place the pork belly, vegetables and toppings of your choice in a bowl with the ramen noodles and broth. Enjoy this elevated college staple on your real dining room table rather than on a stack of old pizza boxes that you’ve draped a sarong over in an effort to disguise its origins. Seriously, did that ever fool anyone? Congratulate yourself on becoming a grown up… of sorts.